Sam tweeted me a link to this story a while ago, and I swear my jaw hit the keyboard. 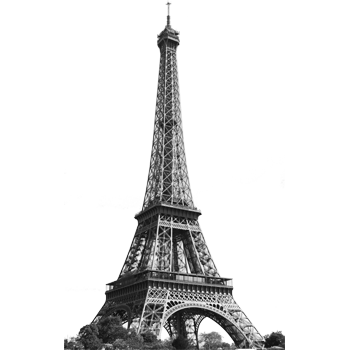 A woman fled her apartment in the 9eme arrondissement in Paris before the start of World War II, and never returned. 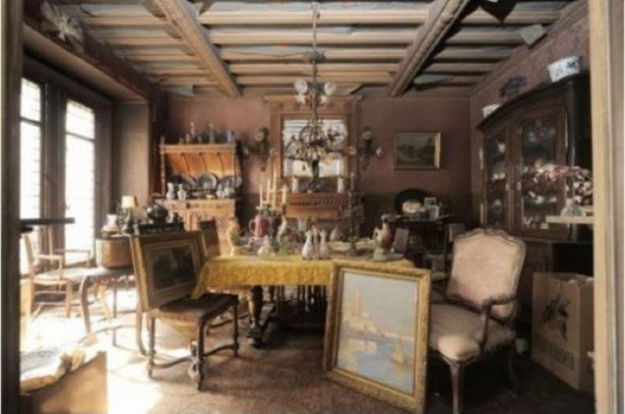 She died a few years ago at the age of 91, and her frozen-in-time apartment was finally reopened for the first time in 70 years. 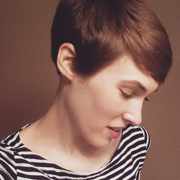 It had remained completely untouched (how? I feel like if that happened in America the city government would have seized everything after six months of neglect) and among the relics was a portrait of the woman, by artist Giovanni Boldini that later sold at auction for £1.78million. 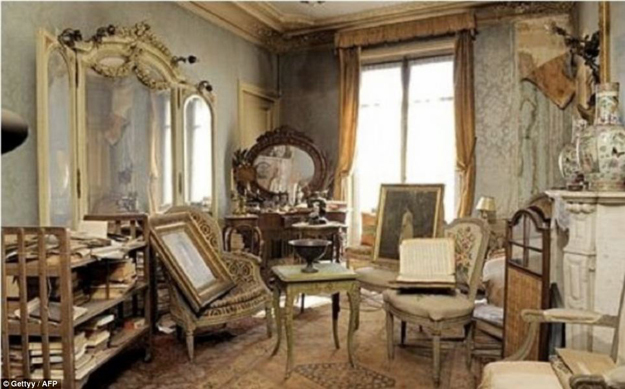 Everyone loves La Belle Epoque Paris and the early part of the 20th century, but imagine finding a time-warp apartment that is authentically historical. Aside from the overwhelming smell of dust it must have been the most magical thing in the world. 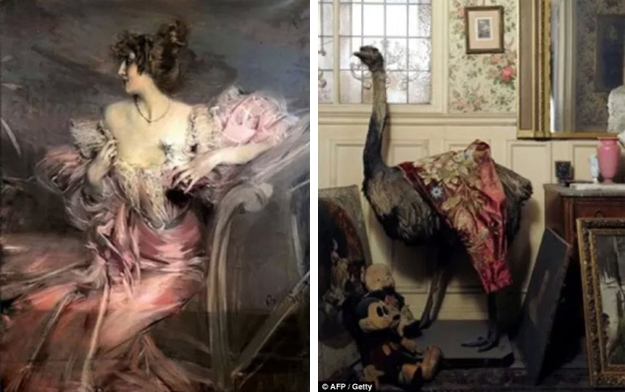 oh yes i saw this too… just stunning… made me very nostalgic, like i’d lived there or in that time… forget the boldini, i’m in love with the emu! wow. that is the sort of story i want to crawl into and never leave. how intriguing and mysterious, sad and remarkable. it would be so surreal to be there. it’s just so beautiful! look at all she left behind, a whole self, a whole era. it’s heartbreaking but so extraordinary. with the prices of paris apartments i don’t know how they missed that one just being vacant for 70’s years. are there more? i need to go find one and move in. I wish I could just walk in there – with you – and spend a few hours reading from her French books and maybe smoking some French cigarettes (not old ones). It’s stunning to think of this all untouched like a page from history, and a little sad to think of all of these items abandoned. I hope these items make it to a happy new home in the future. I like the emu too, so funny! Imagine carrying that home from the taxidermist under your arm. It just begs so many questions! In 1930ish where were women finding dead emus to taxidermy? I know Deyrolle is famous, but come on, was that really a thing? Maybe an old lover gave it to her? So many questions! Most pressing: where and when did YOU ride an ostrich??! This is INSANE! How did everything survive in such pristine condition – cray-zee! What a story! The apartment looks amazing and I quietly hope they will keep it intact and open for visitors. I love old homes. That dresser and all the accessories! Oh, thanks so much for finding us a place to stay in Paris! Really appreciate it! I kid. 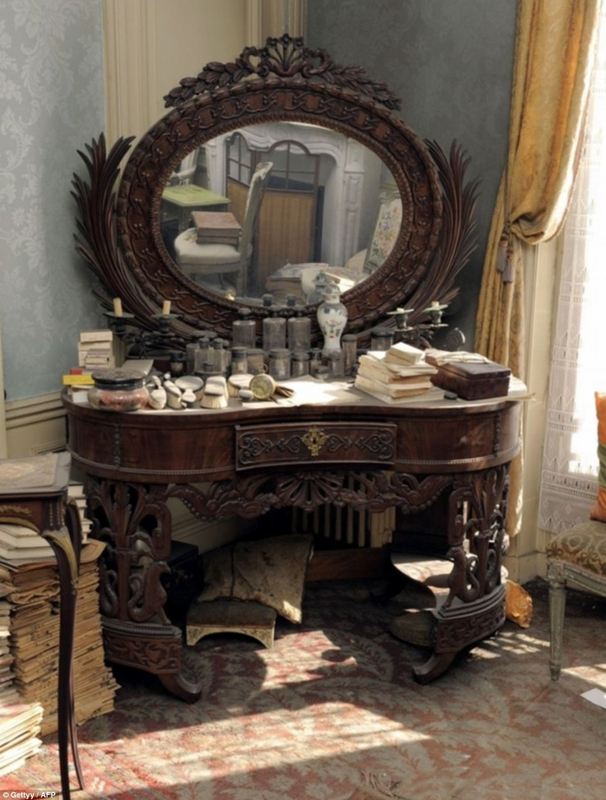 That dressing table. So poignant. I love the way Christine described it. It *is* the kind of story you want to crawl in and never come out of. I’d feel like I died and gone to heaven in there! Amazing!!! You’re so right – that would have been unimaginable in the States. It’s a little bit spooky as well – Miss Havisham-ish? I can already see about a hundred things that I want in that apartment. Look at all those antiques! Yea, I can’t see this happening in America either. Some squatters would surely find the place and live their rent free. Oh, and whoever is responsible for sorting and archiving all these items, I want their job. It would be so interesting! How romantic and amazing. And you’re right, I doubt it could’ve ever happened here.